After a long flight, being jet-leg is one thing we truly cannot deny. 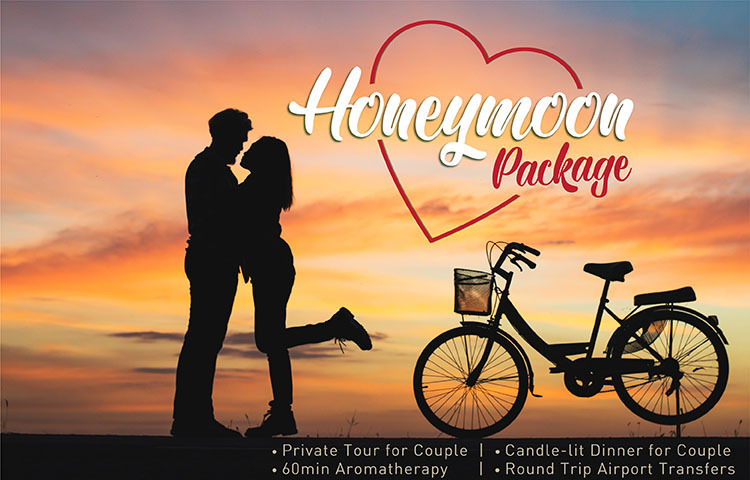 But how about beating it up with a 60 minutes Aromatherapy Massage to feel revitalized again and starting the next day with a private tour arranged specially for just the two of you? That’s not all to be offered. To make your honeymoon in Siem Reap even more delightful, we help you to end it passionately with an amazing dinner spot that is illuminated by romantic candles. Wouldn’t this could be a plan to WOW your spouse?